Separate 2 bed room apartment (fully equipped). Stay tuned for new information. The Arms has been sold to new owners, who are bringing some new and fresh ideas to the historic Catskills hotel. The Pine Hill Arms is located only five minutes from Belleayre Mountain, the oldest ski center in the Catskills, is now also the newest, after making 8 million dollars in improvements over the past three years. Belleayre Mountain offers many events during all seasons and is a great place to enjoy the Catskill Mountains. 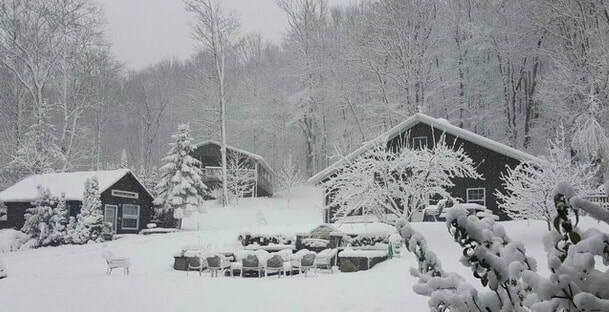 Under new ownership and management, the Belleayre Lodge has a variety of accommodations, all with lovely views overlooking the charming town of Pine Hill, New York, and all near Belleayre Mountain, one of the best ski resorts in New York State. Our two bedroom cabins are great for families and are new in construction. Our cozy cabins have wonderful new beds for the best night sleep in the world. All cabins have BBQ grills and are near our great fire pit for evening relaxing. Our recreation hall has all new games. In the summertime we are a walk to Belleayre Beach and Lake. We have terrific hiking, tubing, fishing, tennis, boating, and summer concerts. Within walking distance there are several different types of restaurants, from casual to upscale. 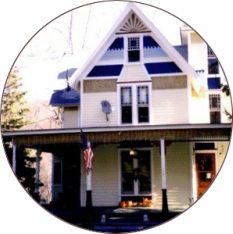 Come stay for a rejuvenating vacation, retreat, reunion, wedding or other group gathering! You can book on-line or call us for information about the area. We are a Victorian House with three full apartments. 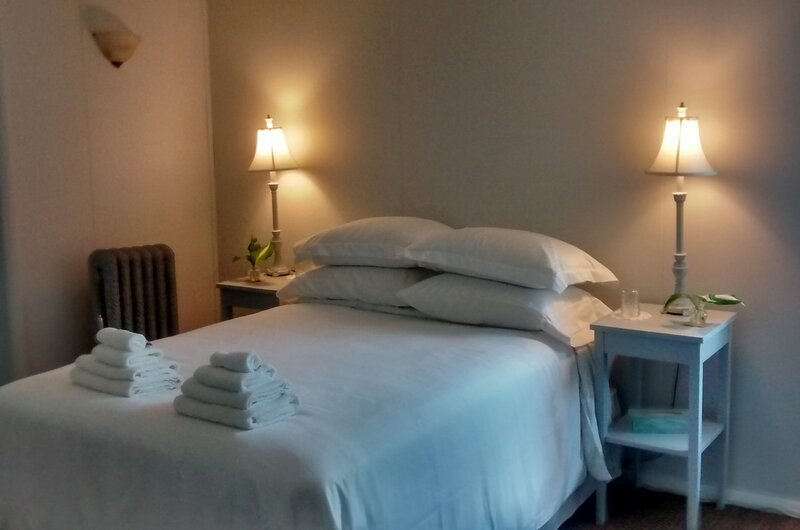 Two of our apartments are in our carriage house and two others are in our main building. All are for rent by the month or season. Each apartment comes with a refrigerator, coffee maker, linens, including high speed internet! Built in the late 1960s, the Starlite Motel was clearly designed to encourage long visits and many happy returns. Staying true to this mission, our little Catskills hotel with its cabin-like feel, continues to be second home to many outdoor enthusiasts, filled with the nostalgia of great family memories built here while skiing, snowboarding, hiking, river-tubing, horseback riding, antique shopping, auction bidding, hunting, fishing, bird-watching, golfing and sight-seeing and more. The Property On it's 2.5 acres, our boutique hotel has a mere 8 rooms, which shows our commitment to maintaining an outdoor experience. On the approach, the Starlite Motel is set back from Route 28 and nestled into the postcard setting of Rose Mountain. First time visitors are secure in the fact that this is a quiet location. The surprise comes when they first open the back door of their kitchen to find a retreat in the backyard; a sprawling wooded area with picnic tables, charcoal grills for every room, a deck to lounge out and a screened room for outdoor dining or lounging. Here at the Starlite Motel, we are all about enjoying the Catskills in a relaxed and casual atmosphere. This is a well-appointed studio apartment with a private entrance in the charming hamlet of Pine Hill (in-the-Catskills). The unit is available for long-term rental or short-term guests. Currently occupied, the apartment will be available again in early October. is for any season. We are a mile away from the Belleayre Ski Center. Quiet, with wi-fi-- a great retreat. You can also send me an email through the Airbnb contact page.